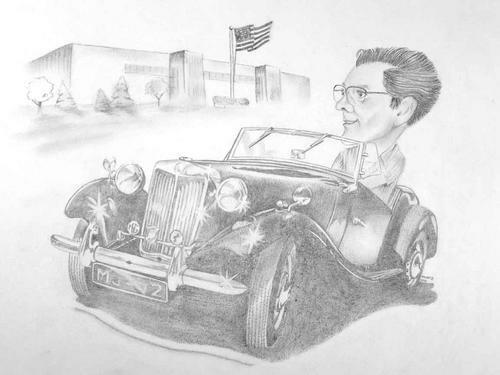 Dave DuBois was a gifted technician who started driving MG sport cars early on, and never ceased driving them as his family's "Daily Drivers". Over the years he used his experiences in the Navy Yards of Bremerton, WA, to bring simple fixes to some of the perplexing problems of our cars, mostly related to electrical contacts, fuel pumps and safety. He became world famous as the go-to guy for SU fuel pump restoration. For years Dave's writings have been available on his homepage, homepages.donobi.net/sufuelpumps/. With Dave's passing from cancer in January 2019, his writings were no longer available. For almost 50 years he graced those of us in the hobby with solid advice, good humor and perfectly working fuel pumps. He is and will be sorely missed. His son, also Dave DuBois, has granted permission to publish his writings here.